Yeah, this one is scummy. There are fun bits (dune buggy!) but overall, icky. 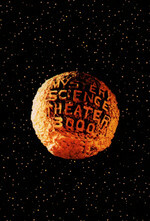 MST Club is our weekly watch of MST3K episodes and other things. It's tonight (Thursdays) at 7 PM Eastern/4 PM Pacific for preroll material (lately been other weird movies), and 9 PM Eastern/6 PM Pacific for the episode itself. We hold it at https://cytu.be/r/Metafilter_MST3KClub. I hope you can make it! Remember when Snake made that Hands of Gold short? Good times. "Remember when Snake made that Hands of Gold short? Good times." After that thread on the burger joint being possibly sunk by the good review, am I allowed to say what a fun time I had last night? Yes! And thanks for making it out!